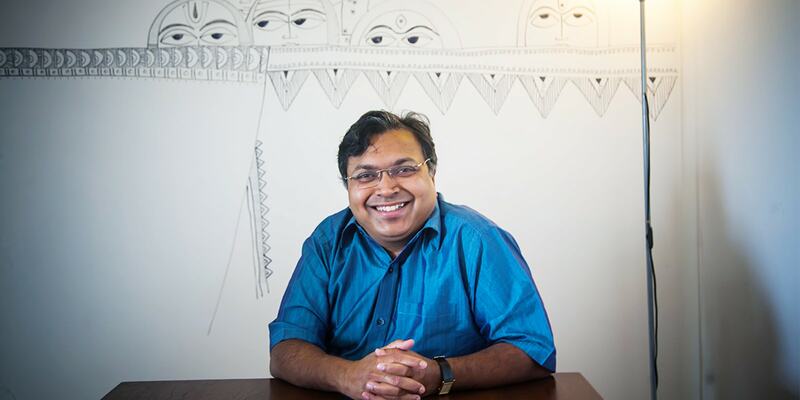 Devdutt Pattanaik Takes on Lord Krishna in Shyam - Bold Outline : India's leading Online Lifestyle, Fashion & Travel Magazine. If our Gods and their stories are considered hip and relevant today in our day to day lives and the situations we are faced with, most of the credit would go to the personable, ever-smiling authority on all things mythology—DevduttPattanaik.An avid writer, keen and creative illustrator, DevduttPattanaik has also been heard giving lectures on the relevance of mythology in modern times on various platforms. On television, you will find him part with his astute sense of mythology, deriving meanings and bearings of some of our popular lore in our current lives on Epic TV through the programme, Devlok. He modestly says he helps leverage the power of myth in business, management and life as if it is an easy thing for mere mortals to do. Taking that forward, DevduttPattanaik appears on the CNBC-TV 18 show Business Sutra and is a valued consultant at big corporations where he guides the corporate honchos on leadership values and governance. A medical doctor by training, DevduttPattanaik dabbled for 15 years in the pharma industry, before giving it up to indulge fully in his passion by turning into a full-time mythologist. A voracious writer, DevduttPattanaik’s writing journey began in 1996, and even after over 30 books and 600 columns on how stories, symbols and rituals construct the subjective truth (myths) of ancient and modern cultures around the world, he continues to be unstoppable! Some of his books published by Penguin Random House includeThe Book of Ram, Jaya: An Illustrated Retelling of the Mahabharata, ¬The Girl Who Chose and the Devlokwith Devdutt Pattanaik series, among others. 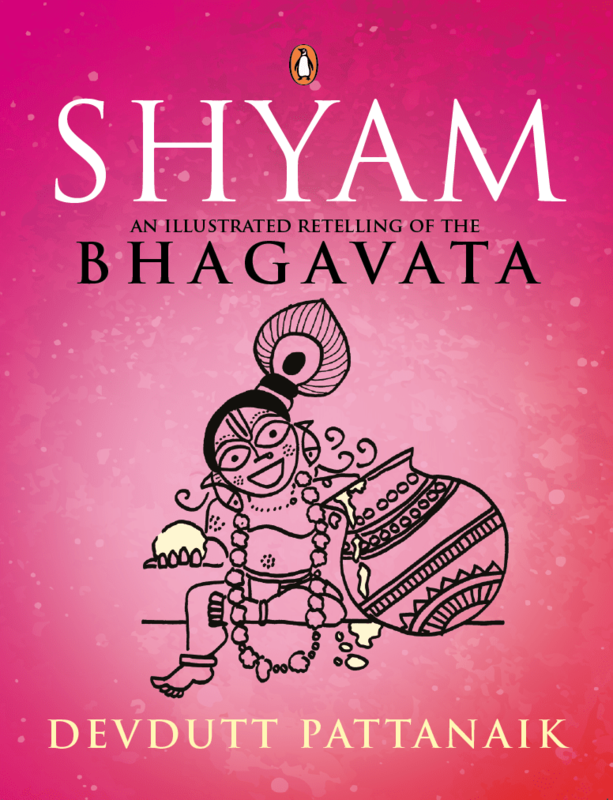 Now, after Jaya and Sita, the writer, who famously expounds the philosophy of Myth=Belief=Subjective Truth=Cultural Assumptions, has brought forth the magical tale of Krishna with Shyam. The mesmerising book promises to shed some never-seen-before glimpses into Lord Krishna’s life. What’s more, the book will also have, as an additional attraction, some wonderful illustrations by the author. The Bhagavata is the story of Krishna, known as Shyam, to those who find beauty, wisdom and love in his dark complexion. It is the third great Hindu epic after the Mahabharata and the Ramayana. However, this narration was composed in fragments over thousands of years, first as the Harivamsa, then as the Bhagavata Purana, and finally as the passionate songs of poet-sages in various regional languages. This book seamlessly weaves the story from Krishna’s birth to his death, from his descent to the butter-smeared world of happy women to his ascent from the blood-soaked world of angry men. So, if you are a mythology junkie, don’t miss this for anything!